Much of the fanfare surrounding Dylan began to dwindle, though it didn’t overly concern him, his next three albums Slow Train Coming (1979), Saved (1980) and Shot of Love (1981) were of Christian Gospel music as he flaunted his new status as a Born Again Christian, follow that if you can! And if they were willing to persist they were in for a rollercoaster of a ride for the duration of the eighties. Infidels (1983) marked something of a recovery, Empire Burlesque (1985) was simply puzzling, Knocked Out Loaded (1986) is a sloppy affair while Down In the Groove (1988) with it’s orchestral number of contributors was dire. Salvation for the eighties came in the form of the Daniel Lanois produced Oh Mercy (1989). The sustained return to form that everyone desired however, was not to be, 1990’s Under the Sky was disappointing. Many thought that was it for Dylan, there had been too many false dawns and then Bob went off the radar, no new material was released for the guts of the nineties. 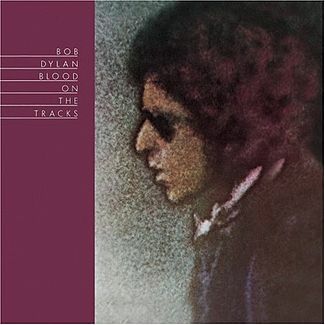 However Dylan wasn’t finished yet, in 1997 he hooked up again with producer Daniel Lanois and released the critically acclaimed Time Out of Mind. Lanois seemed to bring out the best in Dylan, but also for Bob the shackles were off, just like when he was drifting around Greenwich Village, he was once again somewhat irrelevant, he was again on the margins. The album sparked something of a renaissance, quality albums being released at staggered intervals, Love and Theft (2001) and Modern Times (2006), the latter entered the US Billboard charts at Number 1, Bob was enjoying his dotage. And now in April 2009, at age 67, he releases his 33rd studio album, Together Through Life, his voice rattled, gnarled, ripped and torn – just the way he’s always wanted it, he’s now the genuine article, the link to the past, Woody Guthrie, a relic from the past, the guy who dined with Jack Dempsey and shared his supper with Tiny Tim. This entry was posted in Arts and Entertainment on January 2, 2014 by admin_z.